Every Pirate has a few few firearms stashed here and there. This is a place to talk about everything from front-stuffers to machine guns and everything in between. What the heck.. I talked Helen into hunting this afternoon..it's 84 degrees and should be in 4 th rut of the year.. It is crazy here in levy county. I'm usually hunting in snow this time of year. 47 when I left to go hunting this afternoon and 54 right now at 7:30 pm. Crazy. Helen had a button buck come by at 3:45 and some Tom Turkeys after that..then she saw a deer behind her in the thick stuff right before dark. I had 2 big does with a big fawn feed by at 12-15 yards at 5:10pm. No bucks or hogs. 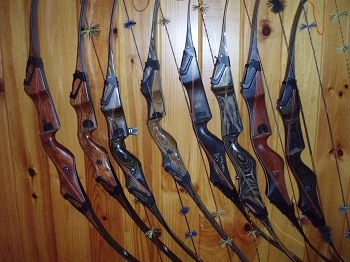 I am going to put Helen in my bow stand tomorrow, since I see those 3 does often there. I can sit about 300 yards from her in a rifle stand. Just got settled into my rifle stand over looking a cut over..I put Helen in my bow stand where I saw 3 does yesterday afternoon. I have an antlerless deer tag good only for this 3000 acres..she passed on a button buck yesterday, we don't shoot them. We are about 300 yards apart..wind is gusting up to 12mph and good for me but just ok for her stand..if it stays more NE she will be good..not as hot as yesterday. the deer moved late today about 15 minutes before too dark to shoot, I had 2 does walk 15 and 24 yards behind me down wind..they didnt seem to wind me and walked towards Helen. Helen heard some hogs up wind of her working south..towards the stand she sat in yesterday.. on the way out we swung over to her regular gun stand and the hogs had been there, fresh rooting on the trail in to her stand and in front of the stand.. We saw a Japanese restaurant open on the way home, Shrimp tempura for me Sushi for Helen, no dishes to wash..